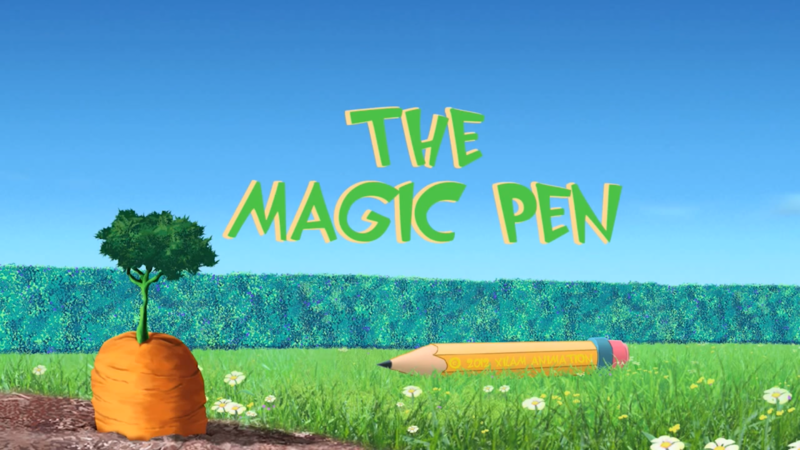 My magic pen can transform into various things and tools that come in handy to human livelihood. For now I am dealing with various entities or tools that include a gun that shoots, a projector that lightens images, a normal ink pen used in writing; it can also be used as a scanner for papers or as a navigator which reads the course of maps. All these and many more are used to describe the powerful tool that my formal pens can transform into but it all depends on what purpose it is meant and most of all what type of hand is holding the magic pen. The magic pen can be a product called a projector which is being advertised. The product in this case can be a brand that goes by the name of Druhil portable pen projector which mainly depends on the lamp system (Cadena, 56). I chose this name because first of all this projector is portable which means it can be easily carried to whatever destination it is required and it is a pocket size type of a projector. As it can easily fit into a pocket it automatically assumes the nature of a pen and also together with its cap. My slogan for this projector is that you do not have to write it while you can see and also it has become fit to fit in my pocket. These slogans are suitable as they explain that technology has developed in such a way that it is carried around and one can view a pictorial image in whatever location at will. One does not need to write on the board while it is easier to just view it (Cadena, 567). The product that is being advertised in this instance is the portable pen projector and the advertisement looks like this: portable pen projector displays pictures and images on any surface which cost less than the lamp replacements that are located in traditional forms of projectors (Edgar, 58). The pen has rings which are responsive to touch and their resolution and focus are easily adjusted. Let’s not wait for technology to awaken us up when it’s easier to uncap the pen and let it display on the table. My target audience for this portable pen projector is expected to be both the young and the old especially of the teaching profession. The old people will find this pen quite light in such a way that it will not be heavy to carry and these lecturers can easily use the pen to teach more easily than having to write (Peter, 59). In this case the old will benefit more when it comes to safety measures as chalk has been taken to have harmful effects on the pulmonary system of individuals. There is no gender discrimination for the use of this magnificent product as it only requires competency. My emotion while writing this advertisement is joy as I know the help it will give to my audiences and they will also be joyous in realizing that they will be walking with such swift technology in their pockets that do not only hasten their service delivery but also maintain their health (Cadena, 69). I would imagine this advertisement being placed in technological magazines which circulate on a monthly basis. The portable pen projector is an amazing discovery and the target audience who include the old and young will crave to read any new technological discovery in the market and with this, the magazine is the best option. The technological magazine is the best approach because of this fact. The reason why the technological magazine is the best choice is due to the increase in spread of technology round the world so then news will travel fast. I made this advertisement in an empty room where I could easily view using my portable pen projector. The emptiness of the room enabled it to be easy when viewing pictures due to the fact that no obstructions were visible (Edgar, 367). After collecting my data I took it to a local magazines station with all my recordings in a flash disk which I presented to the chief editor for production analysis. I used a pictorial form where I recorded images which I stored in my laptop (Peter, 697). I also used the lamp replacements from the traditional types of projectors so as to compare between the two forms of projectors. I used two forms of projectors in making and creating this advertisement. I also recorded a video clip of my technology which I use to display to my audience once they come to view the pen projector (Peter, 309). I did not try any other forms apart from these two which are the technological magazines and the television channel. I used the technological magazine in making this advertisement due to its availability to sell in very many locations. Another reason is because of the ability of stored data to stick in the minds of audiences thus it is always available for reference not like television which persists for only a short period of time upon which its memories fade away and people forget about it. Technological magazines are the most effective as they have a huge customer base thus they easily reach many people all at once. I made this advertisement using LED lamp system as it could easily throw images on a surface material easily and I caught this image in a manner of clarity (Edgar, 90). With this data I was able to deliver to the technological magazine thereby making advertisement easier. In my advertisement I used several persuasion techniques to lure my customers and audiences so that they will easily be attracted to my product. One persuasion technique that I used is the repetitive method where I repeated my advertisements regularly in a bid to persuade my customers in a great deal. Another technique is the selective repetition of key terms for example affordable prices of this pen projectors and their resolution advantage (Edgar, 48). They were effective as they appeared in several weeks in the magazine thus the number of people who spotted the advertisement kept on increasing with each passing day and night. Ethos is specifically located in my advertisement in various sections. Ethos is applied in the section of the gender that can readily have access to the usage of my portable pen projector (Peter, 46). Culture is seen where the projector takes the area by storm by overcoming the traditional form of a projector which was expensive with numerous lamp replacements and also had a highly insensitive pad that could not detect touch qualities that this projector holds (Cadena, 17). By looking my advertisement the audience clearly know that they can trust my product and brand as it is of a quality which is unique. All the components of my projector are easily outlined and the function of every system has been laid down. I have also given my address and telephone number so that it easier to locate me in case one needs to come to my offices. A one year guarantee is also given for the projectors and this has fully laid down the plans that I have to ensure my audience gets the real equipment. I have my secretary Mrs. Doughtry who is my spokesperson and in case of any inquiry she handles them in my office. My advertisement has plenty of logos for example I have indicated in it that one needs to take the cap off or uncap the pen and then let it stand on its own in the table (Edgar, 489). With this idea it is not just to stand on its own but on stand from where one can set or reset the imaging position. Another logo in my advertisement is where I compare my portable pen projector with the traditional projectors (Edgar, 491). I describe my projector as having specific rings which are solely meant to increase the sensitivity of the projector and with these rings one is able to refocus the projector as well as the resolution of the projectile. The facts, figures and statistics are presented first in the dates of manufacture which have been placed below each type of a pen projector that has been outlined (Edgar, 49). One is able to calculate the length of time each projector has lasted and as earlier on stated a portable pen projector depends on its battery which lasts one month without being recharged by electricity. The only pathos in my advertisement is that my customers have to get more batteries in case the originals get spoilt in the process of overcharging with electricity. The LED lamp criteria which as was discussed has a tendency to over consume electricity charge within in its function of throwing images on surfaces which are not susceptible to lamp replacements (Edgar, 59). The dependency on electricity to one extent has advantages and disadvantages considering that it will have to be available to enable smooth running of the projector. However, this should not present much of a problem as it has a huge capability to store electricity lasting for approximately a month without further charging (Edgar, 84). Its capacitors are of high quality but they are also destroyed by over heating and in this case when they are stored in pockets. Apart from overheating in pockets they may also get damaged easily through force or sabotage. Therefore one needs to take caution when storing this device and it is advisable to keep it away from constant touch and interference. By looking at the advertisement the audience is expected to feel joyous that at last a good solution to their projection problems has been discovered. This is because the advertisement provides all issues with its advantages and any disadvantage has remedy that is easily solved even without having to go back to the retail shop. Another aspect is the fact that under proper maintenance the portable pen projector is bound to last for a very long period of time (Edgar, 100). My advertisement is effective as it clearly outlines the protocols that are required in the maintenance of the projector as well as giving advises that are necessary to ensure that it lasts according to the amount of time that is required by the user under any circumstance. There are several explanations on the mechanisms under which this projector works so that its working can be clear in case of any misunderstanding. I started by indicating that this projector depends on a lamp system that is commonly referred to as Led which has displays images that are less susceptible to lamp replacements which according to my expertise are very expensive. We clearly compare our product with others so that it becomes easier for one to choose basing his selection on known evidence and on something that has been clearly proven. Traditional projectors have lamp replacements which are extremely costly and they constantly crash so it is hard to always maintain them. The advertisement is also clear as it shows how the portable pen projector is light and touch sensitive thus is easily used in changing the resolution and the focus of the projector. This advertisement is thus very efficient and someone should buy this product based on this advertisement. It outlines the advantages of the projector as well as its working. It has also explained its disadvantages and how to improve any faulty condition making it very effective (Peter, 45). In conclusion it is best to realize the advantage of having this advertisement mode that I used based that is technological magazine advertisement based on the fact that circulation together with reference availability will lead to a greater audience. My product being among the list of magical pens then it has to have a wider scope of viewership and the audience should refer to it on a daily basis. The truth of the matter is that it is not just a magical pen but an instrument to transforms lives and takes learning to a whole new level where it will only comprise of practical learning and less of theory. This is the magical aspect of it that makes it so unique.